Have you ever stopped to consider the benefits of installing a home water filtration system? For many, it seems silly to install water systems, when they can just turn a faucet in the kitchen and water comes out. But just how safe is that water? Do you know what is in your water supply? Others solve this problem by purchasing mineral or filtered water in bottles, but there are many health and environmental impacts which occur when we keep buying bottled water. 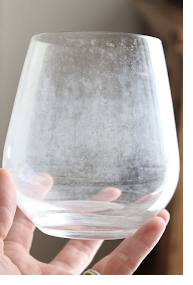 We at Hydro Solutions recommend a home water filtration system. Here are the risks associated with not getting one. What exactly is in your water supply? There could be all sorts of things contaminating your water supply. From day to day, your water should be pretty clean, but not as clean as it should be. There is also the risk that your water could be contaminated without you even realising it, leading to nausea, vomiting, diarrhoea and even deadly diseases. Considering the water in our homes is used for drinking, cooking and cleaning ourselves and our possessions, it is pretty important to ensure the water is actually 100% safe and clean. Some of the things which have been known to contaminate US tap water include lead, arsenic, pathogens, toxic chemicals, carthinogens and bi-products of chlorine treatments. It is becoming a growing problem in US cities that the water isn’t as clean as it once was. Bottled water results in huge amounts of waste. Since plastic bottles are used and discarded too quickly, these rapidly fill up landfills. This waste has a massive impact on the environment. These plastic bottles take over 1000 years to bio-degrade. If they were to be incinerated, toxic fumes would be released into the air. US landfills alone hold over 2 million tons of water bottles. Only one out of every five water bottles can actually be recycled. It gets worse. Plastic bottles contain harmful chemicals that leach into the water you drink. The most common of these is BPA and although slowly being outlawed, BPA is still found in many plastic products. This chemical has been known to interfere with human fertility.